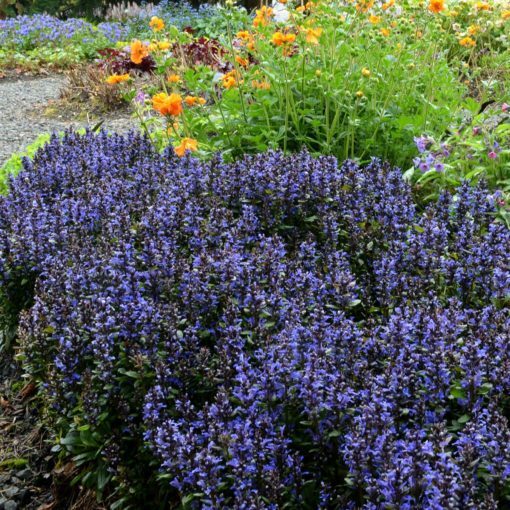 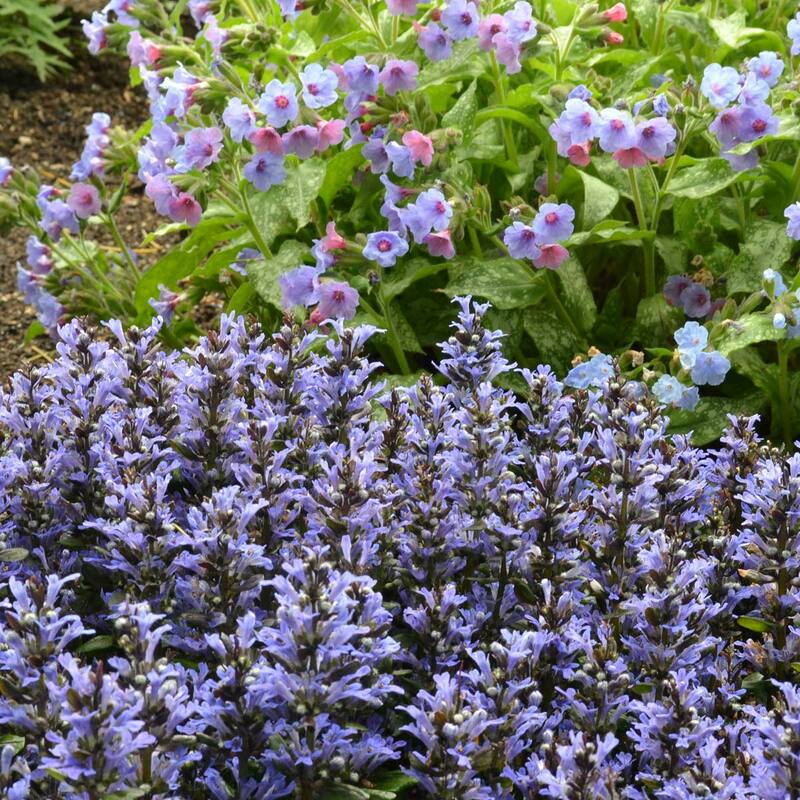 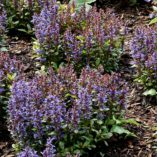 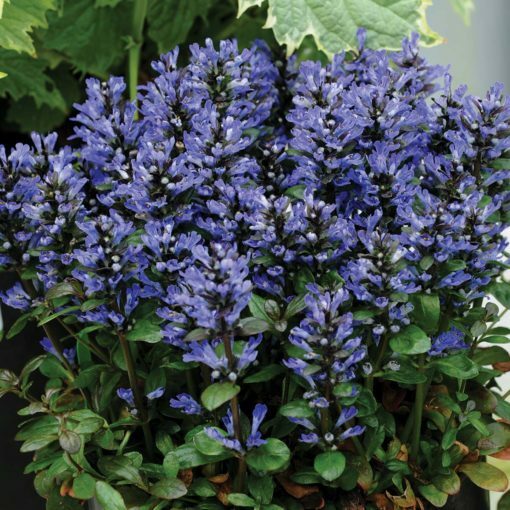 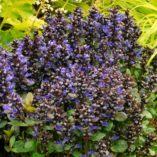 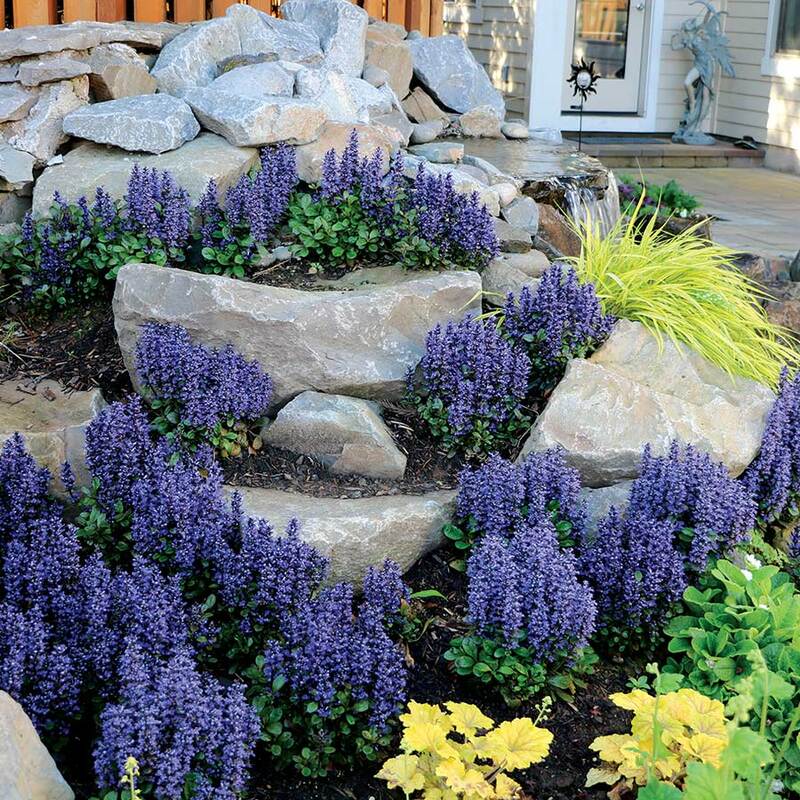 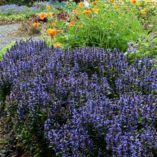 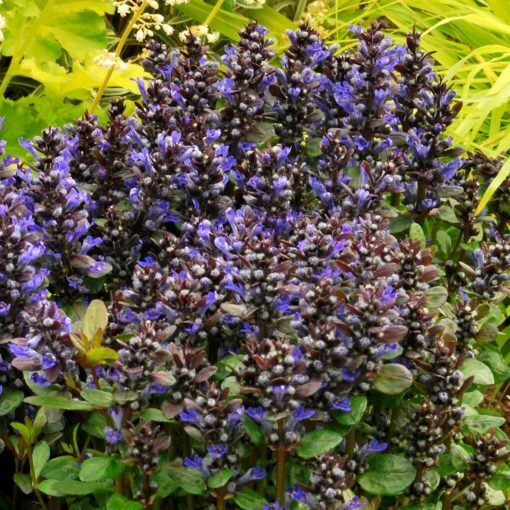 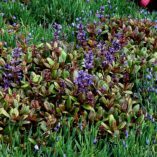 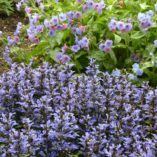 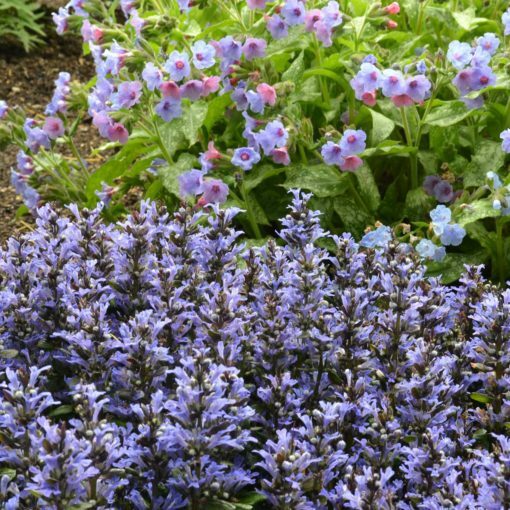 Ajuga ‘Blueberry Muffin’ | TERRA NOVA® Nurseries, Inc.
An extremely vigorous small-leaved groundcover with dark new leaves and blueberry-blue flowers on eight inch spikes. A much faster and stronger grower than Ajuga 'Chocolate Chip'. Leaves are thicker and more weather resistant. 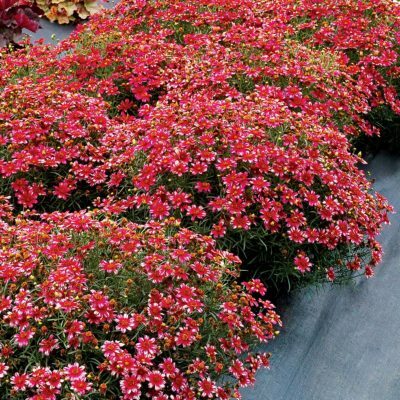 6" / 18" / 10"
It is a much faster and stronger grower than A. 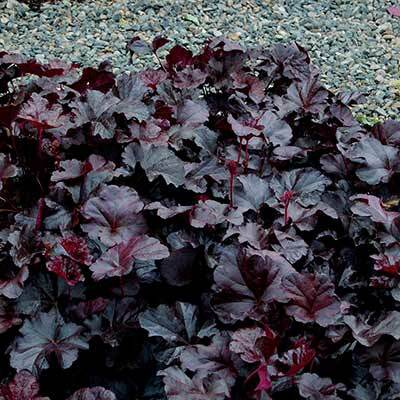 'Chocolate Chip'. 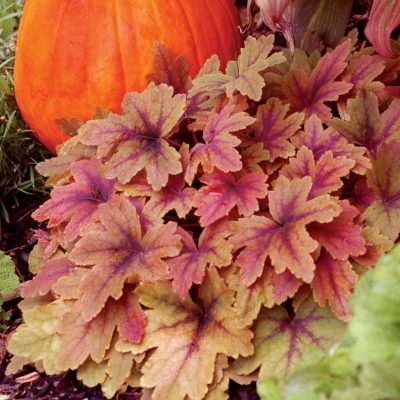 The thick leaves should stop or strongly reduce the winter botrytis problems for growers. 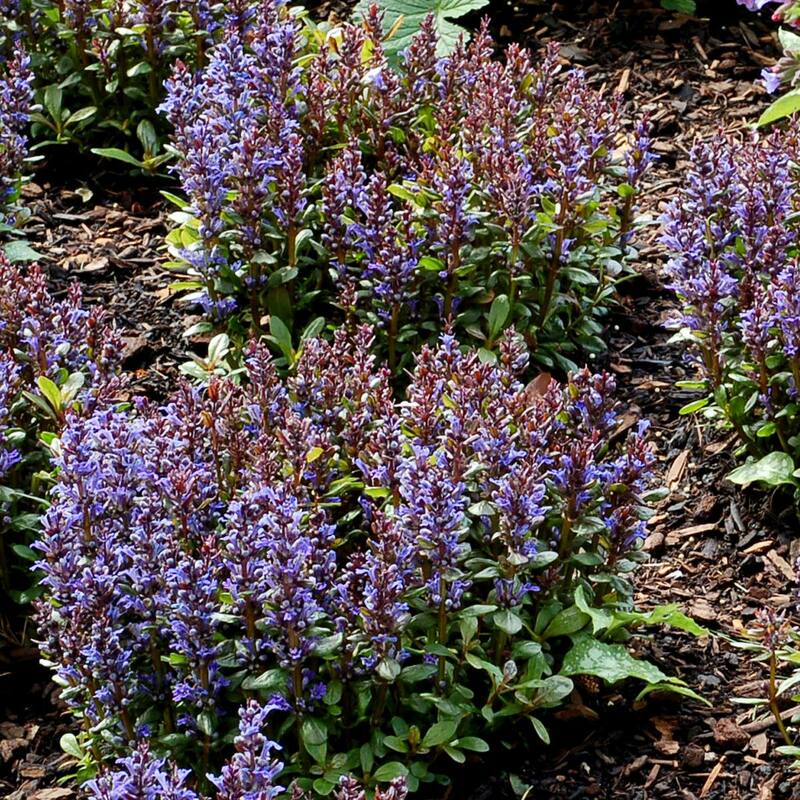 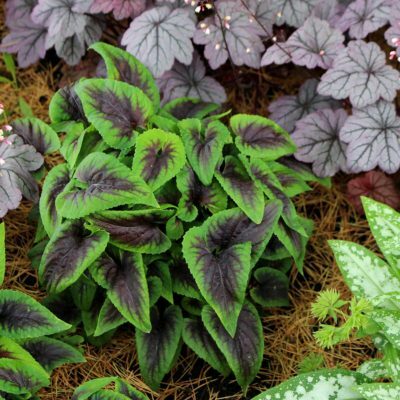 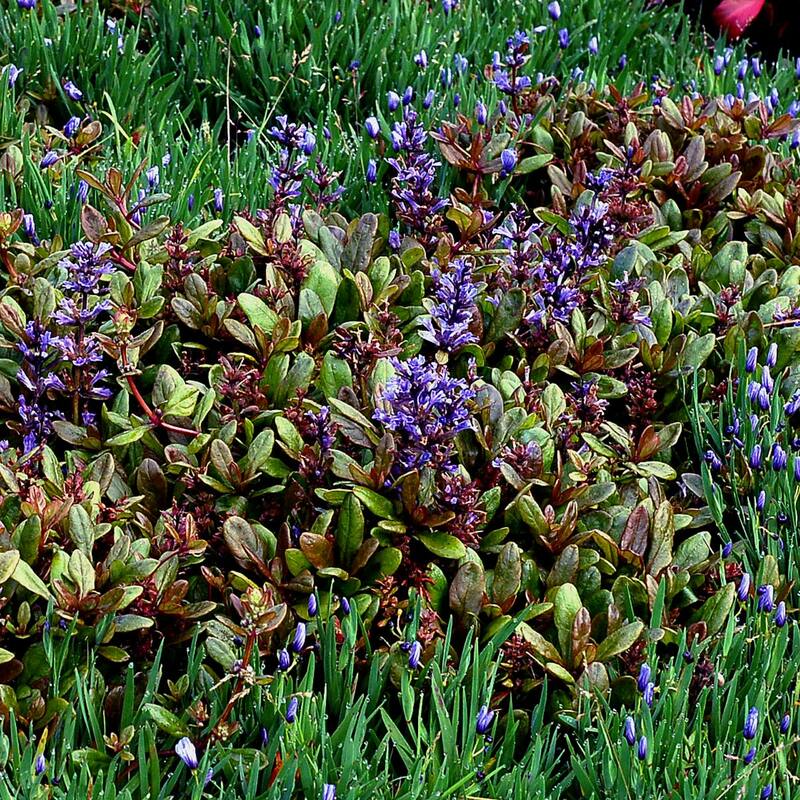 It works great as a groundcover, an edger, or in a container for sun or shade. 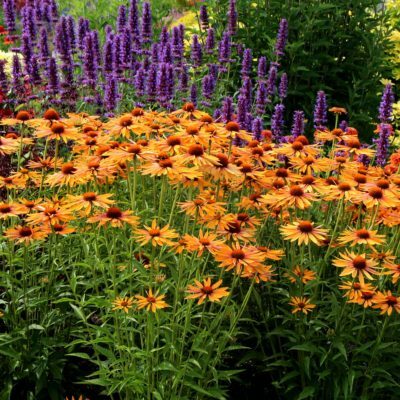 Easy to grow. 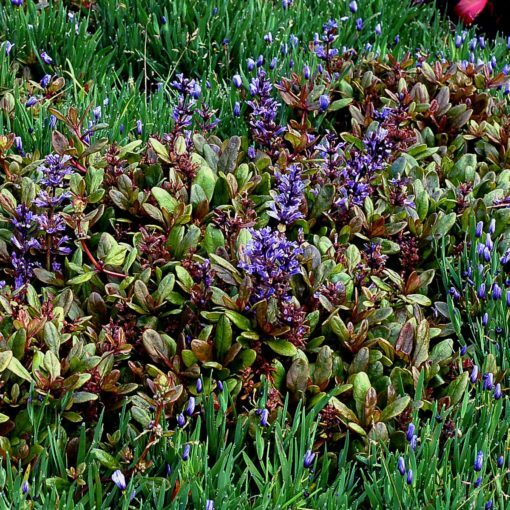 The thick leaves should stop or strongly reduce the winter botrytis problems reported from European growers.